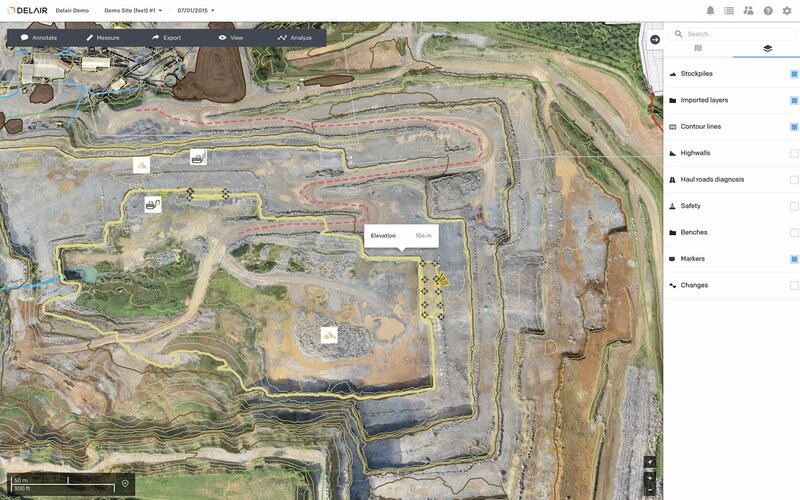 Aerial Data Solutions: Delair Aerial Intelligence, get more from your drone! 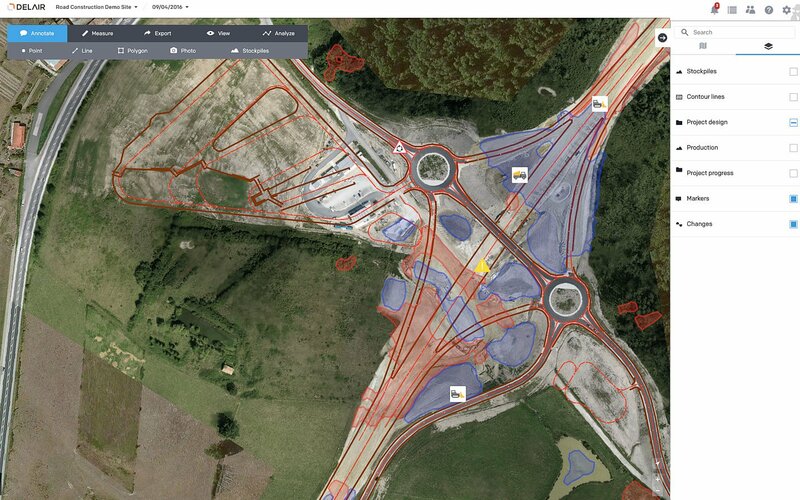 The cloud-based platform to manage, process, view, analyze and collaborate around aerial data. Our industry-specific solutions provide the simplicity, security, and scalability that enterprises require to turn aerial data into business insights. Need a quick measurement? You can select the ruler tool and calculate a length, or draw a polygon and determine an area or a quick stockpile or borrow pile volume calculation. Delair provides one of the most advanced volumetrics toolsets on the market, including 8 methods for volumetrics and stockpile reporting. Storage made simple. 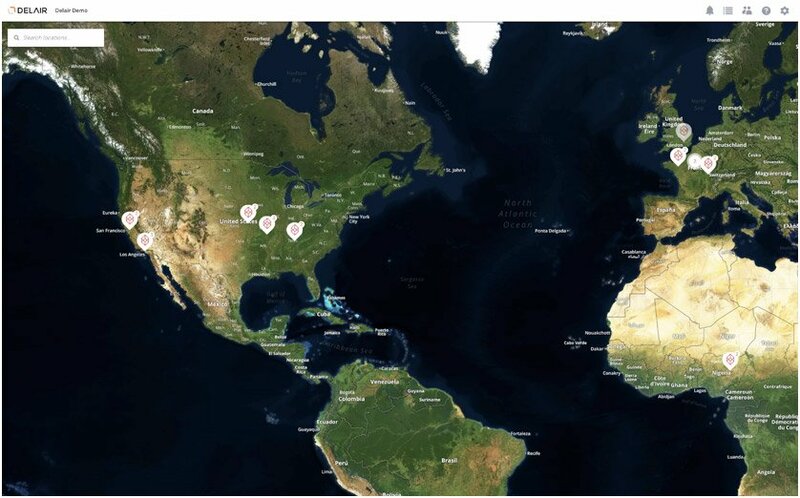 When our customers fly a single large site, they may accumulate dozens of GBs of data. Our cloud can handle any size site, archive it, and make the data available quickly. Risk managers and engineers can access a past survey and compare it to the most recent survey. Delair is committed to achieving and maintaining the trust of our customers. Integral to this mission is providing an enterprise-strength security and privacy program that carefully considers data protection matters across our suite of services. Our robust security program is built on the ISO 27001 standard. Everything we do is governed by a strict set of policies, procedures, and controls. Data is encrypted in transit and within the platform. Security processes are cemented into our secure software development lifecycle. 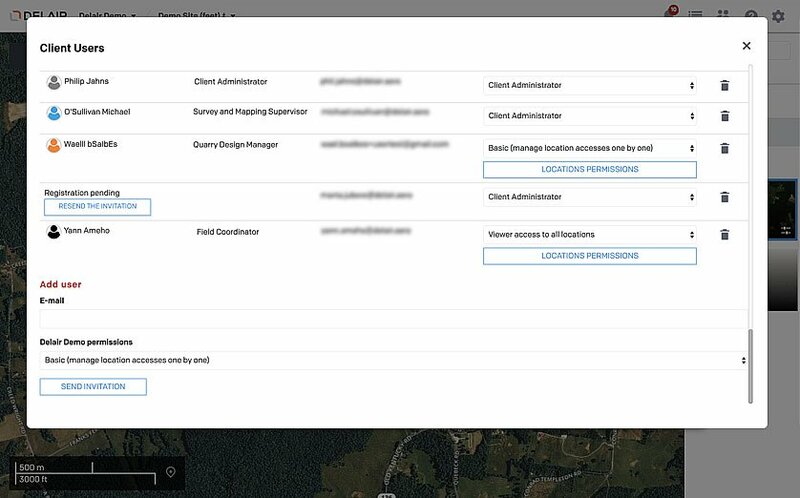 Unlimited users across your organization can access the data, including managers, field adjusters, risk engineers, data scientists, surveyors, and accountants. Ask us about our phased, methodical, hands-on approach to helping you deploy commercial drones across your company at scale. Our professional services team includes former business, management, and technology consultants who collaborate across your organization to help your team learn the technology, pilot the solution with a defined use case and scope, implement the solution across a business unit, and accelerate adoption of the solution across the enterprise. 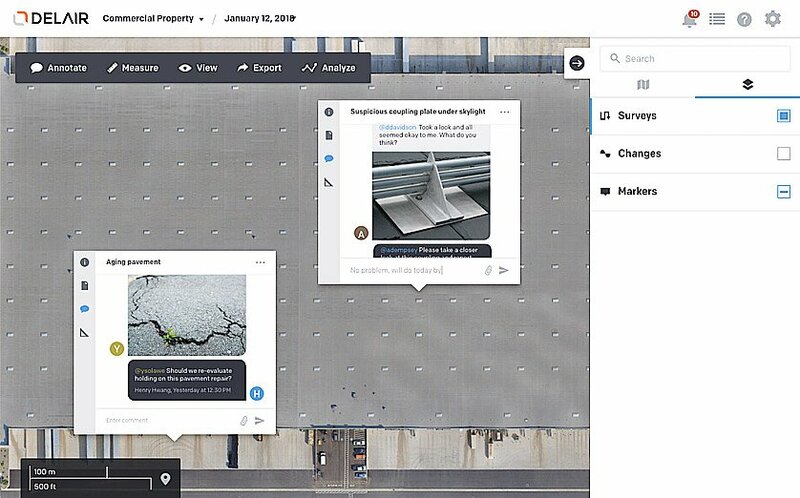 Collaborate in real-time at a new level: annotate features in a map, view conversation threads, and tag stakeholders in the Delair Aerial Intelligence platform. Receive notifications when advanced data products are processed and available, or when a team member wants that second opinion. Save time and streamline workflows. 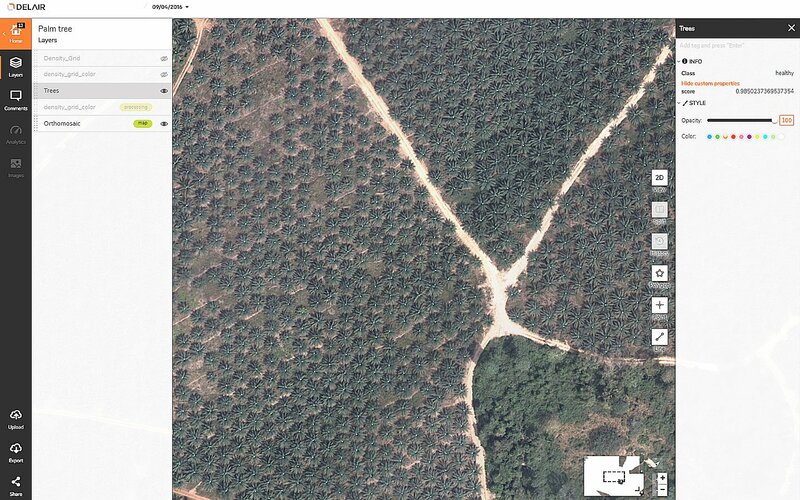 Easily overlay drone data with other geospatial data. 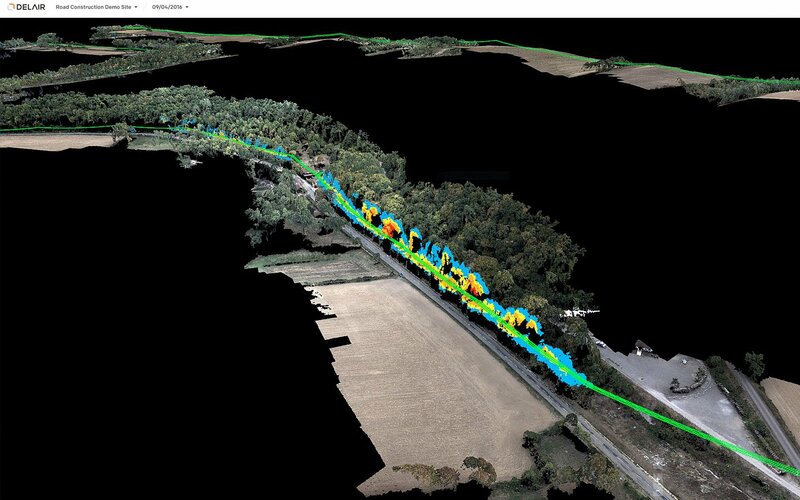 Leverage data throughout the entire operational life cycle using popular formats from Trimble and Esri. Export data to a variety of industry-standard software suites and formats (.las, .shp, .dxf files for AutoCAD, Geovia, Carlson, ArcGIS, MicroStation ENVI, Maptek) and in any reporting format (.xls or .pdf). 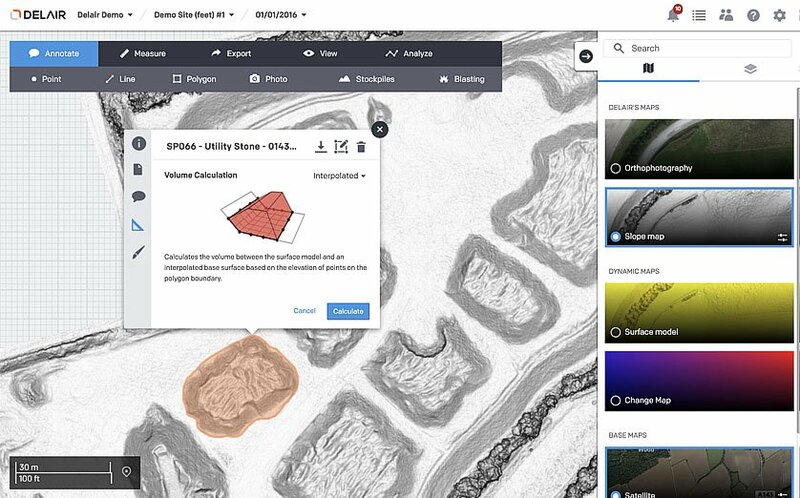 Aerial data plays an important part in any digitization strategy. While capturing data is easier than ever, the real challenge enterprises face is harnessing all of this data so that it is consumable, shareable, and actionable. Delair.ai provides commercial drone solutions to rapidly and repeatedly collect and analyze comprehensive imagery of all of their sites. 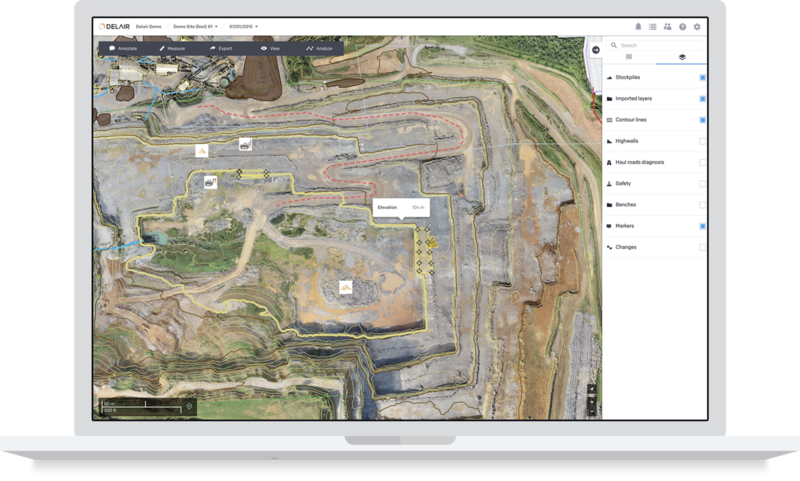 Our customers get the combined power of an enterprise-focused workflow and powerful industry-specific analytics, to help turn aerial data into actionable business insight.